For the Lord is a great God, a great King above all gods. He holds in his hands the depths of the earth and the mightiest mountains. The sea belongs to him, for he made it. His hands formed the dry land, too. For the Lord is a great God And a great King above all gods, In whose hand are the depths of the earth, The peaks of the mountains are His also. 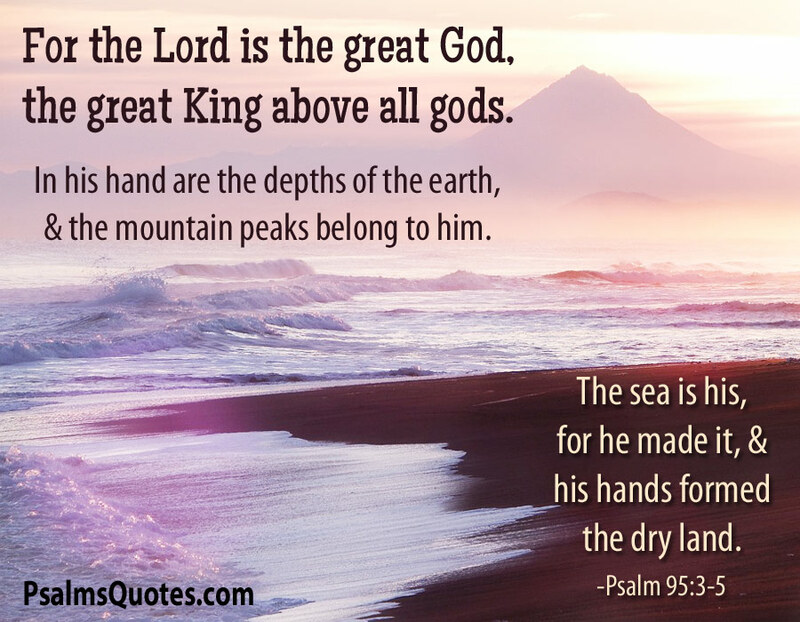 The sea is His, for it was He who made it, And His hands formed the dry land. For the Lord is a great God, a great King above all gods. The depths of the earth are in His hand, and the mountain peaks are His. The sea is His; He made it. His hands formed the dry land.